I can watch five movies at one go, believe me. Even if my friends suggest me that I should not watch more than 1 movie in a day to get a feel and hold of the characters, storyline, cinematography, script and of course the themed idea presented in the movie, but I do not listen to them, because I am impatient. Movies are my greed with which I have agreed! I am one of the dreamers for whom, the world of movies is all to cheer about, to feel happy and sad about, and to crave about. It gives me sanity over my imagination in a very disguised manner. But lets not talk about me right now. Lets talk about such movies which must be watched by techie people, by people who love the world of computers, technology, internet and prospective techie feasibility of future. If you’ve missed any of the below-mentioned movies, just take my words – watch it now. “You don’t get to 500 million friends without making a few enemies” – reads the post of the oscar-winning film released in last quarter of 2010 – The Social Network. This 2 hour movie is a good representation of How entire Facebook phenomenon started, evolved and established itself. How the computer programming genius Mark Juckerberg started working on to develop Facebook and how the legal challenges that came in the way were settled. This 2 hour movie had a lot to tell to the audience and so the movie is fast paced. 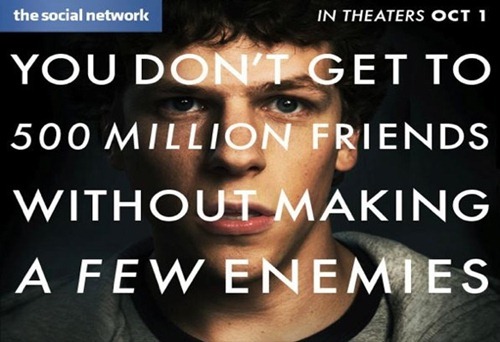 Jesse Eisenberg in the role of Mark Juckerberg really did very well. Acting of all the characters seem justified. The movie is not just about Facebook. It incites the techie spirit in you. After watching this movie, you’ll feel goosebumps, adrenaline rush in your body to do something phenomenal of this kind. It is really inspiring movie. The best thing about this is that it does not depict some kind of future technology but rather a saga of current technology and its achievement. Talking about computers, and you miss the iconic names like Bill Gates and Steve jobs – impossible. Pirates of Silicon Valley is a movie depicting the founding story and evolution of Microsoft and Apple. Believe me, the movie is not some sort of historical documentation, rather a humorous take on the saga of how Bill Gates and Steve Jobs get into business of computers, how they envied each other and what were the conditions and struggles they faced in initial days. Good artists copy, great artists steal. You’ll get an idea of how GUI (Graphical User Interface) came into existence, how windows came.. This is a 2002 movie that envisioned future technologies in a very accurate form. I mean we’re getting closer and closer to the prospective vision created in this movie as time passes. The augmented reality, table touch surface are all fine examples of the how technology is morphing to take a bigger shape, to take a more exciting form. In this movie, three special gifted humans could see the future and predict the crimes beforehand. On the basis of their predictions, a special police force unit used to arrest them even before they could commit such crime but what happens when an office from the unit is accused of future murder. This changes the game! 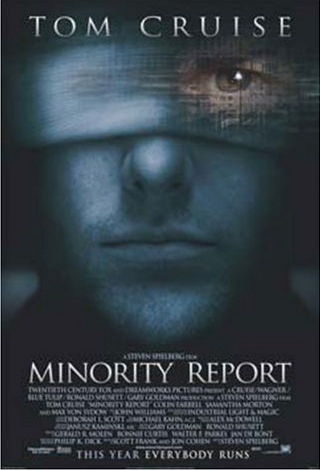 A must watch movie if you want to get a taste of amazing technological scope and how could technology affect the world. If we extend the list to include top 10 tech movies for geeks, we’d like to add hollywood films like Tron: Legacy, Avatar, Inception, We live in public, Iron Man Series. If you further want to extend the list, you may add most of the superheroes films as well. 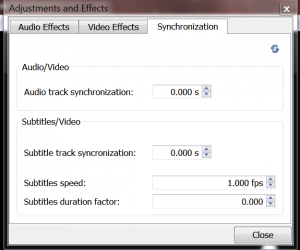 What are your favorite films for techie, put your movies list in comments and I’d love to watch them.